In To be a Pilgrim: A Reflective Guide to the Holy Land, Bishop Bradly Billings takes us on a journey--a pilgrimage. Through his reflections and meditations based on his own experiences leading pilgrimages through the Holy Land, Bishop Brad evokes the sights, sounds and smells as he follows in the footsteps of Jesus Christ. Drawing from Scripture and from history both ancient and modern, each stop along the way is brought to life as the reader is led from the humble birthplace of Jesus in Bethlehem, through scenes of his baptism in the Jordan and travels through Galilee with his disciples, to his death and resurrection in Jerusalem. With prayers and readings for the Stations of the Cross, a compendium of scriptural references related to each place, and practical information intended to guide the would-be and future pilgrim, To be a Pilgrim: A Reflective Guide to the Holy Land is an indispensable companion. 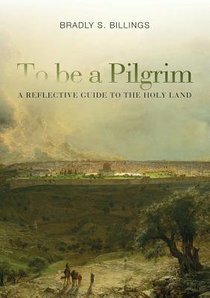 About "To Be a Pilgrim: A Reflective Guide to the Holy Land"